The African Union (AU) Special Envoy on Women, Peace and Security (WPS), H.E. Mme Bineta Diop, joined the refugee community at the Jewi Refugee Camp in Gambella, Ethiopia, to commemorate the twenty-sixth (26th) edition of the Day of the African Child, under the theme, “Conflict and Crisis in Africa: Protecting all Children’s Rights”, and to show support to refugees, trapped in circumstances they neither understand nor contributed to create. Speaking at the opening ceremony, Mme Diop noted that, “No Child should have to grow up in a refugee camp” and that “Children have a right to life, education, health and family”. 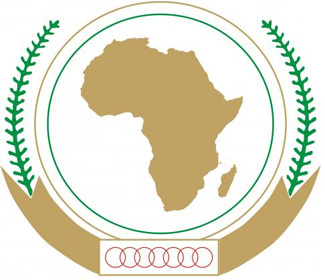 She added that children and youths are the hope of Africa and reassured them and authorities in attendance that the African Union is, “committed to ensure the protection of children in situations where their rights are violated. Indeed, as the Special Envoy states on various occasions, the protection of children and the promotion of their rights is not an optional but a central tenet for peace, stability and development in Africa”. The Special Envoy participated at the Intergenerational Dialogue with young girls and boys between the ages of ten (10) and eighteen (18) years, living in the refugee camps and in the city of Gambella. The children who probed on the AU’s and member-states’ engagement to guarantee a better life for youths in Africa had a message for all African leaders. They said: “Listen to us; we also have a voice.” And specifically to heads of states they said, “Create jobs”. This historic event also witnessed a young girl and boy read the ‘Children’s Declaration’ which they handed to H.E. Mme Bineta Diop, to deliver on their behalf, to the AUC Chairperson, H.E. Mme Nkosazana Dlamini-Zuma. The Amharic version was given to the President of the Gambella Peoples’ National Regional State, H.E. Ato Gatluak tut Khot. It must be recalled that The Day of the African Child has been celebrated on June 16 every year since 1991, when it was first initiated by the then Organization of African Unity (OAU). It honors those who participated in the Soweto Uprising in 1976 on that day. The event which was organized by the African Committee of Experts on the Rights and Welfare of the Child (ACERWC), saw fruitful collaboration between the AUC Departments of Social Affairs, Peace and Security, Political Affairs, other development partners, the Federal Government of Ethiopia and the State of Gambella. It was attended by the President of the Regional State of Gambella, the Special Advisor to the EFDR Minister of Women and Children Affairs, state authorities, young boys and girls, and their parents living in refugee camps. The Special Envoy on behalf of the AUC Chairperson thanked the government and people of Gambella for the warm welcome, and all partners for working together to support refugees, “our children, sisters and brothers trapped in difficult circumstances for no fault of theirs”.